Welcome to Neighborhood Funding Resources! 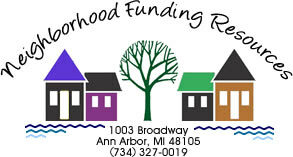 Neighborhood Funding Resources (NFR) provides comprehensive Grant Writing services, Funding Research, Fundraising, Development and Related Services as well as Planning Services for municipalities, public and nonprofit agencies. NFR has been in business for over ten years, but its managing partners have been providing these services individually for over 30 years. NFR can assist with grant writing, research, funding, proposals, evaluations, fundraising projects and events, contracts and planning assistance for public, private and non-profit agencies and individuals. Please view out website to learn about our services, examples of our successful projects and some helpful links about grantwriting and proposal research. You can also contact us for additional information.